Brolga Park is located on Honeyeater Terrace, South Morang. The works started with the excavation and removal of the existing play equipment. New concrete paths and playground edge were then installed along with drainage. 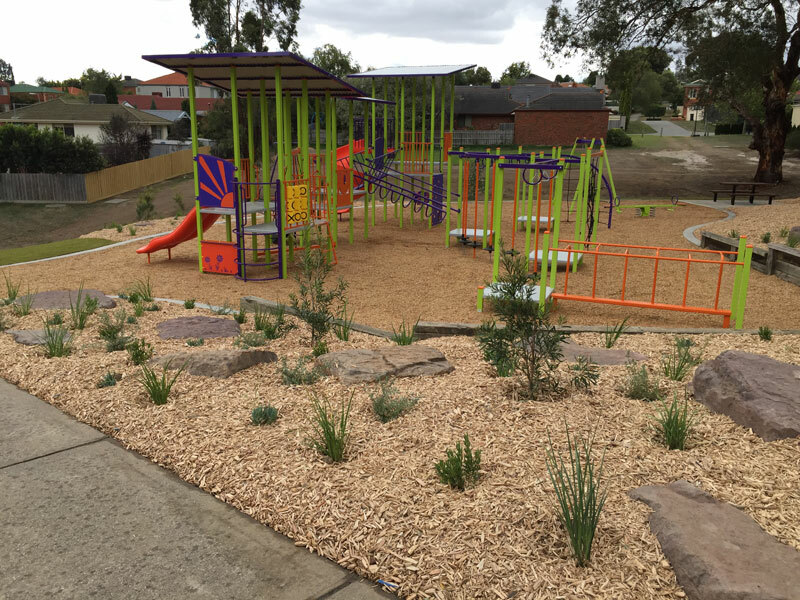 A spectrum design multi age play unit, community swing, see saw rocker and motion rocker ride was installed. Both rubber and timber softfall placed below equipment. The team then planted out the garden beds.